Ghost Hunts. No Hype. No Distractions. AMERICAN HAUNTINGS CELEBRATES 25 YEARS IN 2018! Author Troy Taylor and the staff from American Hauntings have been taking guests behind the walls of haunted locations since 1993 with one simple approach — ghost hunts without all of the clutter. Our investigations are not overcrowded meet-and-greets with so-called celebrities but an authentic opportunity to let our guests experience the unexplained. We're not going to waste your time with autograph sessions and that kind of nonsense. We're not going to make posters to show you how "cool" we are or pose for photos in matching black t-shirts that are a size too small. Instead, we're going to offer you the chance to actually investigate a location for possible evidence of lingering spirits. If you’re interested in a real ghost hunt without all the distractions, then these are the events for you. Ghost hunts. No hype. No distractions. Just the paranormal. Return with us to one of the most haunted houses in downstate Illinois — the legendary James Eldred House. Generations of the Eldred family — shattered by death and financial setbacks — called the stone house home until they were forced to abandon it. Saved from the forces of nature, those who came to restore it discovered that it was haunted! Is it as spirit-infested as so many claim? This is your chance to find out! CLICK HERE FOR RESERVATIONS! Join American Hauntings for a night at the old Franklin County Jail in Benton, Illinois, made famous as the “last stop” for Southern Illinois gangster, Charlie Birger. Spend the late night hours looking for the ghosts of this historic -- and very haunted -- old jail with a limited number of ghost hunters during a private ghost hunt. Find out if the place is really as haunted as so many people claim and perhaps come face to face with one of the former occupants of the place! CLICK HERE FOR RESERVATIONS! Join American Hauntings at a location that is rapidly becoming known as one of the most haunted places in Indiana! We’re exploring the confines of the Hirsh Building in Winchester, a place now known as the 101 Para Cafe, thanks to its history of paranormal events that are linked to murder, suicide, and illicit history in its past. Are you ready to experience this eerie spot for yourself? Now’s your chance! CLICK HERE FOR RESERVATIONS! Join American Hauntings for a chilling return to one of Illinois' most notorious haunted spots -- infamous Ashmore Estates, near Charleston! 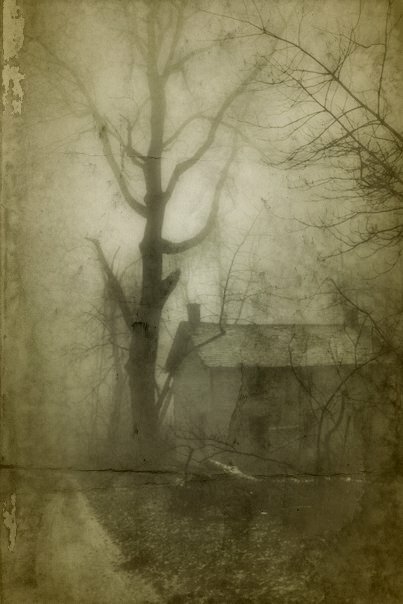 Spend the night looking for the ghosts of the old – and very haunted -- former poor farm and asylum with a limited number of ghost hunters during a private ghost hunt! You’ve read about it, or seen the place on TV, but this is your chance to experience it for yourself! If you’re brave enough, CLICK HERE FOR RESERVATIONS! Tickets are now on sale for THE paranormal event of the year! This is our 23rd year of bringing you the finest speakers, guests, and events in the paranormal community. Founded in 1997, we set the stage for every ghost event that has followed. This is NOT some sort of "meet and greet" with "celebrities" who sit at tables so you can pay for autographs -- this is a speaker-based event with presentations, discussions, question and answer sessions, hands-on workshops, ghost hunts, tours, and much more! Tickets are already going fast, so don't miss out! Ghosts, hauntings, and the most fun you'll have at a ghost event in 2018! CLICK HERE TO GET MORE INFO ABOUT THE PARANORMAL EVENT OF THE YEAR! Join American Hauntings for an exclusive investigation of what was once Jacksonville's best-known funeral home -- where spirits of the past still linger! Come along for this chilling night and we'll search for the building's reported ghosts and learn more about its haunted history. Is the former funeral home really as haunted as some people claim? You'll have the chance to find out when we give a limited number of ghost hunters the chance to possibly meet some of the former occupants of the old house face-to-face! CLICK HERE FOR RESERVATIONS! Are you brave enough to join American Hauntings at one of the most haunted places in Indiana? We’re going inside the chilling confines of the old Randolph County Infirmary in Winchester, a place so haunted that investigators have become so frightened that they’ve fled the building, leaving all their equipment behind! You’ve seen the place on television shows and in first-hand accounts, but now you can experience it for yourself as we return to this chilling spot! CLICK HERE FOR RESERVATIONS! Are you brave enough to join American Hauntings at one of the most sinister haunted places in America? We’re going inside the chilling confines of Bobby Mackey’s Music World in Kentucky, a place so horrifyingly haunted that investigators have been attacked, scratched, beaten, and so frightened they have run screaming for the door. Is it merely ghosts? Or are the stories true – is it really a “portal to hell?” This is your chance to find out! CLICK HERE FOR RESERVATIONS! Join American Hauntings for a night at one of the most chilling locations in Missouri -- the Glore Psychiatric Museum in St. Joseph! Once part of the state's second insane asylum, it's a place where the spirits of the past are believed to still linger! Are you brave enough to experience this eerie place with all of the lights out? We’ll be taking a limited number of ghost hunters behind the locked doors of the museum and former asylum hospital for a night in search of it's haunted past! This is your chance to see if it's really as haunted as so many people claim! CLICK HERE FOR RESERVATIONS! Join American Hauntings as we explore the haunted confines of the Pollak Tuberculosis Hospital on the grounds of the infamous Peoria State Hospital in Bartonville, Illinois. Known for the restless spirits that now roam the abandoned wards, halls, and corridors of the old building -- you have to decide if you're brave enough to join us for this chilling investigation! CLICK HERE FOR RESERVATIONS! You may have seen it on TV, featured on “Paranormal Lockdown,” and think, well, “that’s just a TV show…” but are you brave enough to actually go behind the walls of the infamous Beattie Mansion in St. Joseph, Missouri? And if so, will you stay for the entire event at what’s considered the most haunted house in town? This is your chance to find out! CLICK HERE FOR RESERVATIONS! CHECK BACK OFTEN FOR NEW EVENTS AND AVAILABILITY! How many people are allowed to go on the events? Since every location is different, we don’t have a set number for all of the different ghost hunts and overnights. However, we do limit the number of people by the size of the location, number of staff, etc. so we have a very good idea about how many people each location can handle. We have been doing this since 1994, so we have a lot of experience with how it all works. Keep in mind that these are not the overcrowded “celebrity meet and greets” that imitation companies are usually offering. We try to put together an authentic event for our guests, giving them a real chance to experience and investigate the haunted locations that we offer. Many locations do have group activities that guests can take part in, but we always offer plenty of private time for you to investigate on your own. Do I have to make reservations online? YES… and we require it for a couple of reasons: First, our tours sell out in advance and since we are not always in the office, you may miss out on an event that you wanted to attend since all of the spots are filled on a first come / first served basis. Second, we have confirmation forms that need to be emailed to you, so registering online saves time for you and for us. Do you offer transportation to the events? Sorry, but no, there is no way we can do this. People come for our events, ghost hunts, and overnights from literally all over the country. There is no way that we could possibly pick them and bring them to the events. And if we did offer transportation, we’d have to charge a lot more for the events and we prefer to keep them as affordable as possible. Can I get my money back if I decide not to go? When making a reservation, we always state in the confirmation that all reservations are non-refundable. Once your purchase your spots, it’s just like any other kind of event, concert, etc. They are your spots and if you decide not to use them, we are unable to re-sell them. Once you commit to buy, payments are made by us to the venues and locations that we cannot get back. You are welcome to sell or give the reservations to someone else but we do not buy them back. If you do transfer your reservations to another person, just please let us know so that we can update the guest list.